Each tarot reader has a unique style that they hone over time into the fine art of divining the future. 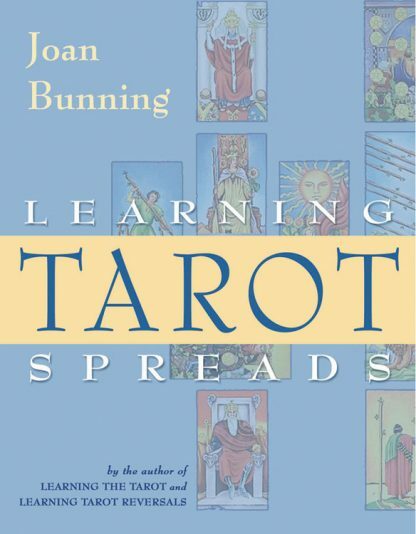 In this essential guide to arranging cards into prophetic patterns, Joan Bunning has compiled a veritable encyclopedia of tarot spreads with great appeal for accomplished readers who want to explore further as well as novices with their very first deck. What sets Joan Bunning apart from every other writer on the subject of tarot is her ability to take a rather complicated esoteric system and break it down into manageable, clear, and easily learned parts. Chapters include spreads for relationships, family, love, money, health, work, and even specific time periods. Sample spreads are comprehensive, ranging from many-card "Gypsy" spreads to quick and easy "Three Card Draws." She also gives the reader reference charts, exercises and structured tarot lessons. Joan Bunning received her BA in social psychology from Cornell University and has worked as a writer, editor, and computer programmer. Since 1995, her Learning the Tarot website has helped thousands of people worldwide discover the personal value of the tarot. Joan lives in Virginia with her husband, two sons, and two dogs.